I just got Brethren swag in and I’m dying to give it away! 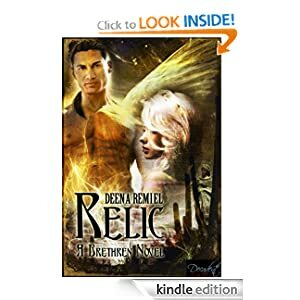 All you have to do is purchase RELIC and/or TRINITY from now through Monday, OR GET YOUR FRIENDS TO BUY and send me proof of purchase in an email (deenaremiel@yahoo.com). SWAG WILL BE FLYING! THAT’S RIGHT! I’M PREPARED TO GIVE AWAY 15 SWAG PACKS THROUGHOUT THE WEEKEND, 5 PACKS EACH DAY (SATURDAY, SUNDAY, AND MONDAY)! GOIN’ TO THE GO-GO, EVERYBODY! DON’TCHA WANNA GO? HEY , HEY, HEY! I just bought Relic and sent an email to you from Amazon. This is an awesome giveaway! Thanks so much! You are so welcome! Thanks for joining in the fun! Got your email, so you’re in the pool for winning 1 of the 15 swag packs! yay!! Just sent you an email … woo woo!!! Yay! All right!! Smoochies to ya, girlie! 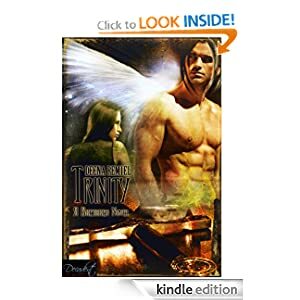 I purchased “Relic” and won “Trinity”. I have sent proof of purchase to your email. I can’t wait to read both. Are they stand-alone’s or should I read in order? Thank you for a chance to win some swag. We’ve got our first three winners of swag packs! Susan, April and Lynn!!! I’ll need your snail mail to send you your swag packs!! YAYAYAYAYAYAY! 😀 12 more packs to go!